Audi advertises its 2018 Summer of Audi Sales Event in a new ad, encouraging people to promote themselves. 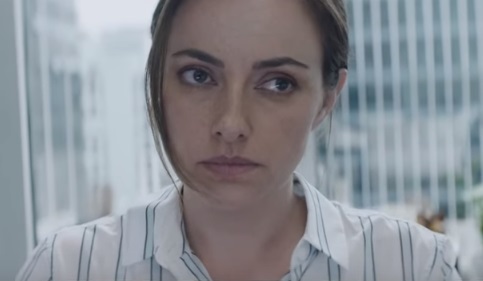 The spot follows Anna Hughes, a woman congratulated by the CEO and awarded Employee of the Year, who re-considers her goals and decides to start her dream company instead of working for a company. Thus, she collects all her personal items from the desk and leaves the offices, surprising lots of people, who are applauding her for her courage. Strutting to the rhythms of the 1967 single “Making Time” by The Creation, a song she chose to play out loud while heading out of the headquarters, she goes to an Audi dealership, puts the cardboard box with her belongings in the trunk of a car, and hits the road. “Progress is in the pursuit. The Summer of Audi Sales Event.” onscreen lines read at the end of the commercial, which was aimed at making viewers rethink the promotion and remember to follow their passion wherever they lead because this isn’t about salary bumps, fancy job titles, or bigger offices, but it’s about grabbing the wheel, stepping out of your comfort zone and hitting the road. The 2018 Summer of Audi Sales Event will give people the chance to get special offers on select Audi models, including the 2018 Audi A3, the 2018 Audi A4, the 2018 Audi A5 Sportback, the 2018 Audi A6, the 2018 Audi S3, the 2018 Audi S4, the 2018 Audi S5 Sportback, the 2018 Audi S6, the 2018 Q3, the 2018 Audi Q5, the 2018 Audi SQ5, the 2018 Audi Q7, and more. Lease payments range from $319 to $679 per month with between $2,999 and $4,773 due at signing. Current Audi owners may qualify for an Audi Owner Loyalty offer, that is valid on new 2017 and 2018 models. If you’re among a select category of Audi buyers, you may qualify for an exclusive special program, like College Graduate Program, Corporate Sales, Military Sales, First Time Buyer Program, Diplomat Program, European Delivery, and Foreign Business Professionals Program.